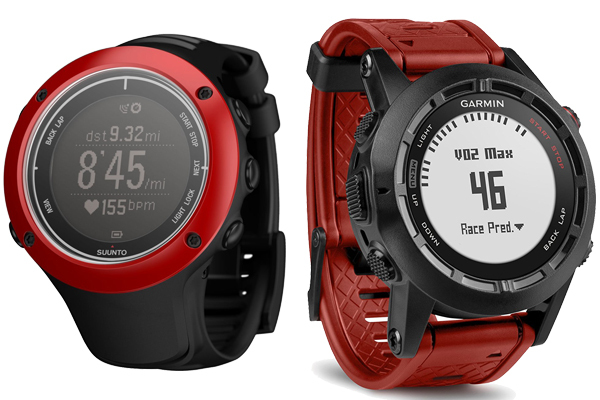 Following the previous Garmin Fenix vs Suunto Ambit, we make the higher review about Suunto Ambit 2 vs Garmin Fenix 2 in order to make higher reference too for the loyal consumers of both brands. If you think that yours are currently not enough for you now, then you should upgrade with the newer one that will appear on this article on the following below. So, just enjoy! Suunto Ambit2 GPS is for the Explorer and athlete. All that you need for outdoor sports-navigation, speed, heart rate, altitude, weather conditions and features for running, cycling and swimming. Thousands of Apps available for Suunto adds new functionality to the hour. Packed in a casing of reinforced glass fiber with a 24-hour battery life with GPS, Ambit2 ready for any adventure. Suunto Ambit changed everything. That’s the right word to describe this cool watches. Actually, Suunto Watch is equipped with a GPS that can monitor your heart rate while exercising. This is the first GPS which combines cutting-edge technology with kinds of sports feature, which provides thousands of applications ready to download. Do not stop until there, Suunto Watch continued to release a more advanced applications. In fact, the Suunto Ambit2 add versatility on the next generation, which can be used for swimming, cycling, and other sports. Other specifications that you can find are 5 languages available, namely Germany, the United Kingdom, Spain, France, and the Netherlands. In addition, it also watches water resistance with the resistance to a depth of 100 m/328ft/10 bar made from glass, minerals, or Sapphire Crystal, then Aluminum or Stainless steel. On this second movement provided the GPS update, new interface, multisport training capabilities (walking, climbing, horseback riding, hiking, skiing or swimming), as reported by the official website of. In a nutshell, Fenix 2 provides users real-time information, user response for training purposes in order to be more efficient, with the features of ABC (Altimeter, Barometer and Compass 3 axis) provides a more complete navigation functionality. Fenix 2 combines the best fitness and technology out of the Garmin be watches are easy to use, perfect training tool for multisport athletes. Users can easily switch between advanced features, such as fitness training on VO2 max, virtual partner and recovery advisor, GPS features like Ski and Tracback is fashion, while still connected with smart notifications and LiveTrack. The presence of Smart wireless Bluetooth connectivity supports the capability of uploading, real-time capable of sending data to the user community online via Garmin Connect without being connected to the computer. And last, there is also a Ski-Board Mode, for skiing or snowboarding sports activities are able to measure the speed, dimensions and the distance horizontally or vertically. For the build quality, we would say both watches are really well-made for me little advantaged of Ambit 2 is that it could withstand 100m depth but its not big deal. While for the ergonomy, Fenix 2 wins because Ambit 2 has that annoying knob on side which makes watches turn and twist on your wrist. Garmin Fenix 2 is bit thicker but its not big deal. And last, for the display, it can be said that Ambit 2 simply because its possible invert display and its font is easier to read. On other side in with dark backround Fenix 2 display is easier to read I really wish it would offer invert option too.